Rock music and Rube-Goldberg- cinematography collide in a cathartic and inventive music-theatre experience. The Infinite Hotel invites live audiences to become ‘extras’ and step inside an elaborate movie-making machine, producing a one-take feature film together every night. Refreshingly honest, the film’s narrative follows five strangers unknowingly writing music together across space and time, and questions the nature of human interrelatedness, our appetite for visibility, and the creative ideas we accidentally share. Co-produced with Old Sound Room & The Windmill Factory. Irondale is located on the second floor; however we are ADA compliant with a handicapped entrance and restrooms located in the lobby. There is no elevator, but there is a Handi-lift that can carry up to 450 pounds. The balcony is not wheelchair accessible. Michael Joseph McQuilken (Writer, Director, Co-Composer & Co-Lyricist) originally hails from Portland, Oregon, where he was raised in a working-class home by public servant parents who were terrified that his artistic tendencies would leave him perpetually broke. These fears were not allayed when 20-something Michael became a professional street performer for three years, making music with garbage. Fortunately, he finagled a scholarship-fueled higher education, and now he is a director, writer, filmmaker, and composer in Jersey. 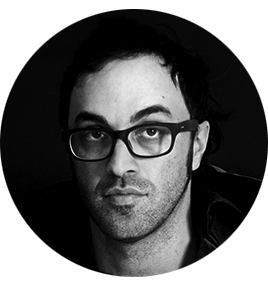 He holds degrees in directing and sound engineering, and has an amazing wife, Adina, who tolerates his restless creative tendencies that have taken over the majority of the space in their home. His recent directing work spans installation concerts at BAM (Epiphany), to new opera (Angel’s Bone), to music videos (Andrew McMahon, Amanda Palmer), to concert visuals (Drake). 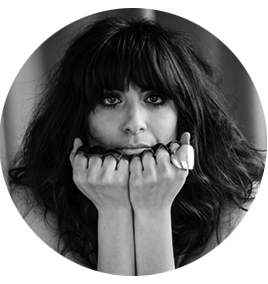 Leah Siegel (Co-Composer & Co-Lyricist) is a Brooklyn based Singer-Songwriter known as “The Cleaner,” for being able to sing nearly anything. Her voice is at once unique, ethereal, powerful and soulful. Prince, Sting, Lenny Kravitz and thousands have gushed praise for her performances with her 4 bands; Leisure Cruise with producer Dave Hodge (Broken Social Scene, Bran Van 3000…), Firehorse (Indie Darling), Brooklyn Boogaloo Blowout (Brooklyn deep cut soul legends), and The Citizen’s Band (political activist cabaret created by Sarah Sophie Flicker & Karen Elson). Siegel is also an avid activist with Narrative 4, The Women’s March, and was a mentor for EAR (Art Start). She wrote and gifted the eternal track “If You Don’t Want To Be Alone (I Will Never Leave You)” to The Topsy Foundation which distributes medication that reverses the symptoms of full blown AIDS within 90 days. The PSA went viral in South Africa and her presence/performances are often requested by international human rights conferences. 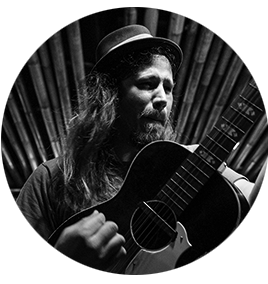 (Co-Composer & Co-Lyricist) is a troubadour based in Everett, Washington. Beginning as a street performer in late 90s, Webley has built a small international following for his songs and stories. Armed with an accordion, a guitar, a porkpie hat and a plastic vodka bottle full of pennies, he has travelled to over forty countries, performing everywhere from a former Siberian gulag to the 2014 TED conference. (Co-Composer & Co-Lyricist) is a singer, songwriter, playwright, pianist, filmmaker, and blogger who simultaneously embraces and explodes traditional frameworks of music, theatre, and art. 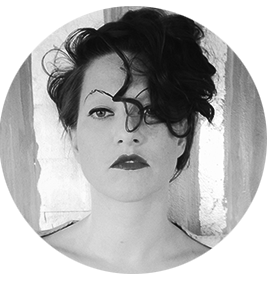 She first came to prominence as one half of the Boston-based punk cabaret duo The Dresden Dolls, earning global applause for their wide-ranging theatricality and inventive songcraft. Her solo career has proven equally brave and boundless, including such groundbreaking works as the fan-fundedTheatre Is Evil, which made a top 10 debut on the SoundScan/Billboard 200 upon its 2012 release and remains the top-funded original music project on Kickstarter. In 2013 she presented The Art of Asking at the annual TED conference, which has since been viewed over 10 million times worldwide. The following year saw Palmer expand her philosophy into The New York Times best seller, The Art of Asking: How I Learned To Stop Worrying And Let People Help. Since 2015, Palmer has used Patreon, a patronage subscription crowdfunding platform, to fund the creation of her art work while enabling her to collaborate with artists all over the world with over 11,000 patrons supporting her creations each month. (Creative Director & Stunt and Movement Coordinator) is a conceptual artist crafting performances, installations, and events ranging from Le Louvre to Lady Gaga, The Metropolitan Opera to NIN. Highlights include; Reflecting the Stars, recreating the night sky in the Hudson River; Right Passage, an interactive performance installation for the Panorama Festival; choreographing Nine Inch Nails 2014 Festival Tour, Pixel Forest, performance installation for SXSW. 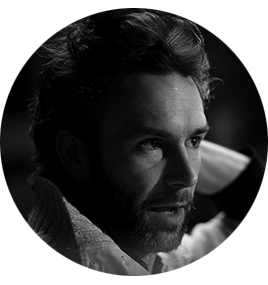 In addition to founding/directing, The Windmill Factory, he has performed/created with Fuerzabruta, Cirque du Soleil, The MET, Theatre de la Jeune Lune, Patrice Chereau, Robert Wilson, Jay Scheib, Tina Landau, Aszure Barton, Spymonkey, Diavolo Dance Theatre, Ken Roht’s Orphean Circus, Fabulous Monsters… He has also starred in various national commercials and innumerable embarrassing gigs. He is a Thomas J. Watson Fellow, Tennessee Williams Fellow, 6-time All-American Springboard Diver, and holds a B.A. from the University of the South, Sewanee. Jon has taught master classes at Harvard, NYU, Columbia.